Known as the adventure tourism capital of Colombia, San Gil is the perfect mix of adrenaline and relaxation. This can't miss stop on your way to the coast has it all: world-class rafting on one of the biggest rivers in South America, 180m waterfalls, paragliding above a massive canyon, country-side hikes that pass through the most beautiful towns in Colombia, mountain biking, caving, kayaking, and much more. To unwind, take a dip in idyllic natural swimming holes, stroll through botanical gardens, stretch out for quality hammock time, and then step out for some vallenato dancing. 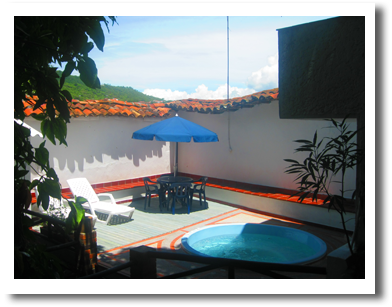 If any place personifies Colombia's slogan: "The only risk is wanting to stay", it's the Macondo hostel. 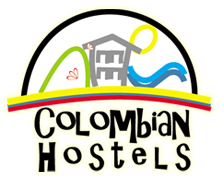 As one of the original hostels in Colombia and the first in San Gil, we know what our guests are looking for. That's why we have grown each year, improving the hostel to better suit the needs of our guests. For this reason we recently moved into an even more beautiful and accommodating home, and added modern newly renovated private rooms as well. Our new address is Carrera 8 #10-35, just a short walk from the main square. Macondo has always been famous for two things: helpful Information and a great social atmosphere. On arrival at Macondo you can watch a video on all there is to do, from Adventure sports to places to swim. Our staff will tell you the best places to eat and drink or if there is anything special happening in town. We can book all your activities for you for the same and in some cases cheaper prices than elsewhere, with the best and most professional guides. Macondo has always been about the social environment, encouraging people to meet locals and to get to know the local culture. For this reason we organize weekly activities like Tejo Tuesdays (a local game including beers and explosives), 5- a-side football matches and BBQ's. The new hostel has a huge garden, great social area and most important is the large kitchen.